Publications & Outreach > Publications > FSJ - December 2014 > Will History Repeat Itself? Afghanistan is at another turning point. Though the challenges are great, the nation cannot afford to cycle back into civil war. For the second time in a quarter-century, Afghanistan is in the midst of a historic transition. As in 1989, when Soviet troops left the country after a decade of occupation, the international community is in the process of ratcheting down its security presence and its foreign assistance levels. Fighting continues in 18 of Afghanistan’s 34 provinces, and the key province of Helmand, a center for opium production and trade (which the United Nations reports is at record levels), is particularly vulnerable. Much of the Afghan middle class, which has grown over the past decade as a direct consequence of the large foreign presence, could abandon the country in short order should the security environment deteriorate further. Such an exodus would rob the Ghani administration of the cash, resources and talent vital to creating a stable Afghanistan. Though the challenges are significant, as spelled out in the following pages, it is critical that the United States not walk away, as it did in 1989. The security and future stability of Afghanistan and the region will depend on Washington’s thoughtful engagement over the long term. When Moscow ended its military occupation of Afghanistan 25 years ago, the ensuing drawdown of Western engagement was abrupt and essentially total. U.S. arms and other resources that had flowed to the mujahedeen, principally via Pakistani channels, ceased within months—as did U.S. interest in the political and economic fate of the country. Happily, the impending departure from Afghanistan of the International Security Assistance Force, comprised of troops from the United States and NATO, will be more gradual, and far less dramatic. The presence of 9,800 U.S. troops for at least two years, and pledges of significant international financial support for 2015 and beyond, contrast sharply with the virtual abandonment of Afghanistan in 1989. When Moscow ended its military occupation of Afghanistan 25 years ago, the ensuing drawdown of Western engagement was abrupt and essentially total. Strong Western political engagement and diplomatic support will be critical in preventing, or at least delaying, a collapse of the Kabul government and staying the meddling hand of Pakistan and other foreign powers. This approach appears similar to the Soviet effort to sustain the regime of President Mohammad Najibullah in Kabul in the wake of its troop withdrawal. Moscow continued to render significant financial, military and diplomatic support, enabling him to cling to power for more than two years. 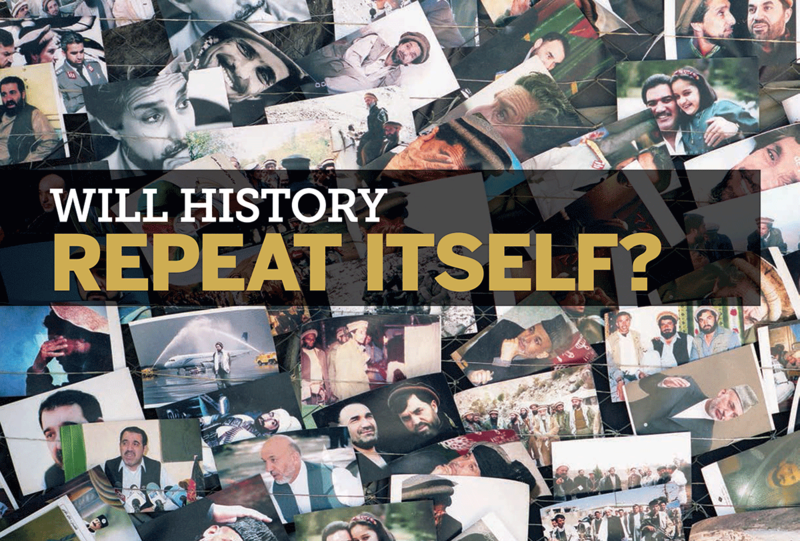 Najibullah was eventually ousted in 1992 as a result of direct and indirect military pressure from Pakistan, combined with harassment from the mujahedeen, all underwritten financially by Saudi Arabia and other Arab sources. Afghanistan then suffered through several years of multisided civil war among mujahedeen-affiliated parties and chaos before the Taliban, again with support and direction from Islamabad, seized control of Kabul and most of the country in 1994. Several key warlords, including Abdul Rashid Dostum, a powerful Uzbek, were able to hold off the Pakistani-backed Taliban onslaught in the north. These largely non-Pashtun ethnic elements played a critical role in the successful U.S. assault on the Taliban in late 2001, and were rewarded with key positions in the successor government organized under the aegis of the December 2001 Bonn Conference. Delegates to that 2001 convention chose Hamid Karzai, a Durrani Pashtun from the Kandahar area, to lead an interim administration. Six months later, a national conference (loya jirga) of Afghan tribal leaders named him president. Though brilliant, Karzai turned out to be a poor choice to lead his country on several counts. First, though he was a deputy in a mujahedeen group, he had no combat experience and never fought the Taliban. (He did show bravery by entering Kandahar to oppose the Taliban after 9/11, but had to be rescued by U.S. forces.) Moreover, Karzai had lived and worked in Pakistan for many years, raising suspicions about his loyalties in some quarters. For that reason, his selection to lead the post-Taliban administration, a decision strongly pressed by the United States and ultimately accepted by other participants in the December 2001 Bonn Conference, necessitated some surprising diplomacy. Afghan Tajiks at the conference, in particular, strongly resisted Karzai’s elevation, and only agreed under heavy pressure from their principal patron, Iran, which worked quietly behind the scenes with the United States at the conference. The deal was facilitated by assurances that Mohammed Fahim, successor to Ahmad Shah Massoud (a key resistance leader whom the Taliban assassinated just days before 9/11), would be the second-most powerful figure in the administration. A graveyard of Soviet military equipment in the Panjshir Valley. 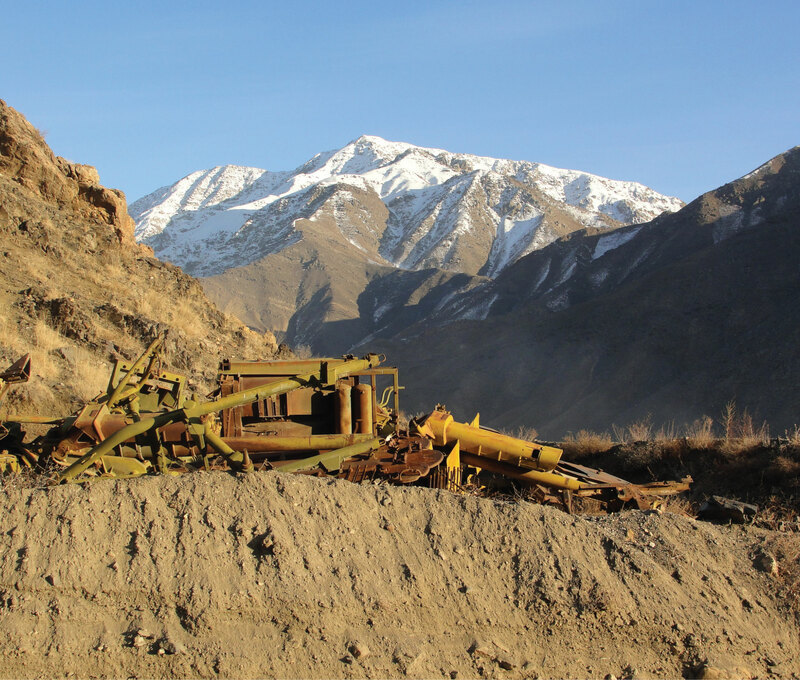 The Soviets were never able to take the Panjshir, and their destroyed tanks, artillery, Scud missiles and other equipment still litter the landscape. The resulting government was an unwieldy alliance, under nominal Pashtun leadership but with northern ethnic (Tajik and Uzbek) control over the critical security sector. Tajiks held most leadership positions in the military and police forces, with Pashtuns filling in the ranks. The administration also included some of the most fundamentalist mujahedeen, such as Abdul Rasul Sayyaf, who exercised a pernicious influence in the justice sector. When I was in Kabul in March 2002, on a personal mission intended to assess human rights concerns, Afghans with whom I was in contact there, as well as nongovernmental organizations, journalists and Mary Robinson, who chaired the United Nations Human Rights Commission and was visiting Afghanistan, all independently told me the charges of a massacre at Dasht-i-Leili were very likely true. Critically, Pashtuns, even those who supported or were part of the Karzai administration, reacted viscerally to accounts of the massacre. Dostum was deeply feared and hated among the Pashtuns I met. Though his positions in the Karzai administration were largely ceremonial, he wielded considerable power behind the scenes, so his mere presence constituted a barrier to negotiations with the Taliban, who have not forgotten how many of their members he butchered. Now that he is vice president, President Ghani will find it difficult to engage Pashtun support for his leadership or pursue negotiations with the Taliban. Ghani will also presumably have to deal with the growing international calls for justice and accountability in the matter of the Dasht-i-Leili massacre. That is far from the only problem the Ghani/Abdullah administration has inherited from its predecessor, of course. For starters, it will be populated by many of the same ineffectual, divisive figures. The tortured post-presidential election saw intense public recrimination between Ghani and Abdullah, each alleging broad fraud against the other in the election. Moreover, like Karzai, Ashraf Ghani brings an administrative/technocratic background to the position of president. These non-combat credentials afford him little personal credibility with the small-to-major mujahedeen warlords who retained their positions of influence throughout the Karzai interregnum and who control much of the Afghan political world outside Kabul. Ghani will doubtless have to rely on the same system of patronage that Karzai employed to retain the loyalty of these figures. It should be underscored that the creation of that system precluded development of any system of state institutions except in the area of health and education. The role of Chief Executive Abdullah Abdullah, effectively as prime minister, is another critical challenge facing President Ghani. Transition to a more parliamentary system would offer some hope of a more stable political system, along the lines of the pre-1978 Afghanistan, which had seen substantial democratic progress and political and economic stability. It is not at all clear, however, that Abdullah’s executive role will entail the emergence of a genuine parliamentary system in which Afghanistan’s myriad ethnic and tribal elements could find genuine representation. That possible transition awaits a putative loya jirga that is to convene sometime in the next two years. Moreover, the long years of stability, respect for human rights and democratic progress of the pre-1978 period was in large measure due to the unity ensured by the long-reigning, popular head of state, King Zahir Shah. Though respected, Ghani in no sense has the stature of the former king. The tortured post-presidential election period saw intense public recrimination between Ghani and Abdullah, each alleging broad fraud against the other in the election. It is by no means clear that the personal relationship between these two leaders—in a unique, untested political power-sharing arrangement engineered by the United States—will withstand the inevitable tensions that forthcoming political challenges will generate. Among these tensions will be the power struggle between two key political figures, Vice President Dostum and General Mohammed Atta, who controls the key northern city of Mazar-e-Sharif, previously Dostum’s power base. Dostum is allied with Ghani, while Atta is allied with Abdullah. That internal political conflict will be a particularly difficult early challenge for the Ghani-Abdullah partnership. The Ghani government inherits an Afghanistan that essentially lacks a sustainable national economy. The pre-war Afghanistan economy, based on agriculture, small industry, mining and tourism no longer exists. Under President Karzai, the Afghan economy remained a dysfunctional, war-devastated basket case, transformed as it was into an unsustainable model dependent on opium growing and smuggling, and servicing of the massive foreign and civilian military presence. While the transportation network, destroyed by the three-decade war, was to some extent restored with significant foreign assistance over the past decade, it remains hostage to the security threat posed by the Taliban. Even if international assistance were to continue to flow to the Ghani government, by no means a safe bet, the new government will barely be able to maintain payments for its half-million civil servants, its large security forces, or sustain payments to warlords who are vital to the government’s rule and reach beyond Kabul. The health and education sectors, which saw marked improvement under Karzai, also are and will continue to be dependent on foreign funding. Ultimately, Afghanistan’s future depends on benevolent, detailed and credible involvement by the United States and its allies for the foreseeable future. It also seems very unlikely that the Ghani administration will make progress in curtailing opium growing and smuggling, especially given the reduction of the international presence. That illicit trade provides significant revenue to the Taliban and other elements within Pakistan whose objective is the downfall of the Kabul government. Prospects for building internal and external trade, developing resources such as mining or re-establishing agriculture are all dependent on significantly improved security—which, given the currently increasing Taliban insurgent activity, seems beyond this government’s grasp at least in the near to mid-term. In addition to inheriting vast economic constraints, Pres. Ghani also must address the challenges posed by systemic corruption and malfeasance which characterized the Karzai administration. Ghani’s reputation and campaign rhetoric suggest he will focus on this fundamental challenge to Afghanistan’s future. But because corruption forms the basis of the Karzai-created patronage system on which government control outside of Kabul also significantly depends, it is unlikely that Ghani can make more than symbolic progress on this front anytime soon. Ultimately, Afghanistan’s future depends on benevolent, detailed and credible involvement by the United States and its allies for the foreseeable future. This involvement entails training and some direct support of security forces, as well as reliable financial assistance. Afghanistan will also need political advice to ensure domestic policies and politics do not take on the divisive character that was allowed to develop in Iraq after the 2011 U.S. withdrawal there. In addition, the United States must play a continuing strategic role to preclude the pernicious meddling of foreign powers in Afghan affairs—particularly Pakistan. Islamabad’s involvement with the Afghan Taliban and with other anti-Kabul insurgents such as the Haqqani network and Gulbuddin Hekmatyar’s Hezbi Islami, has long undermined security and unity in Afghanistan. A stable Afghanistan that does not cycle back into civil war is strongly in the interest of the United States and its allies, most neighboring states and, most importantly, the long-suffering Afghan people. Edmund McWilliams, a retired Foreign Service officer, served as special envoy to Afghanistan from 1988 to 1989. He joined the Foreign Service in 1975 and retired in 2001, having served in Vientiane, Bangkok, Moscow, Kabul, Islamabad, Managua, Jakarta and Washington, D.C. As chargé, he opened embassies in Bishkek and Dushanbe after the breakup of the Soviet Union. 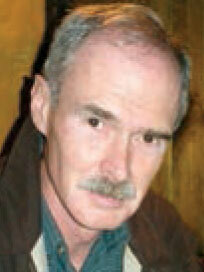 Since retirement, he has been volunteering with U.S. and foreign human rights nongovernmental organizations.